Please make sure your address in Paypal is correct. Are you up for a challenge in 2016 ?! Limited to 20 remaining spots. Proceeds are going to Team Diabetes!! Medals are 3.5" and 5km distance. Finish 2015 on the right foot !!! Shipping out next day !!! Welcome to the 2016 Glow in the Dark Resolution Run!! Register today and ring in the New Year on the right foot! Medals will be shipping Mid December and should be to you in time for New Year's. You can run anytime in January. Choose from 5km, 10km or 13.1. This year's will be similar - glow in the dark 2016 (without the resolution run pieces) and a smaller insert! LIMITED TO 100 medals this year to ensure they all sell out (hopefully)! Are you up for a challenge in 2015 ?! Medals are shipping tmrw if u ordered in July! I did get some out early July before I got sick! I was sick for two weeks in and out of the hospital so I am sorry for the delay!! Hopefully they arrive soon as I was able to make and package them today!! 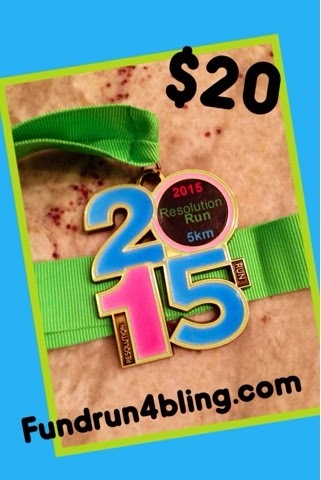 15 in 2015 blings shipping Saturday!! I woke up one morning in May 2011 and said that I wanted to run a half marathon! And I DID! Now I can say that I am addicted and LOVE bling :) I have now ran 29 half marathon and 2 full marathons. And now I am currently a race director for 3 local races. 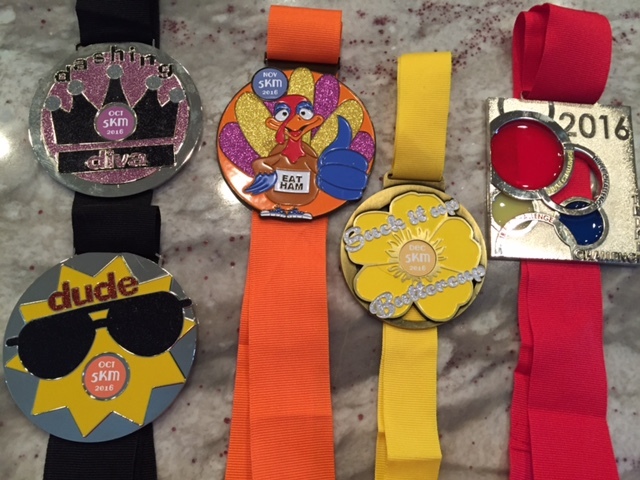 Check back for race themes and sneak peeks of BLING!